“Sz Medium – IN STOCK!! “This brand new in-stock size Medium ZOEY dress is from our budget line. 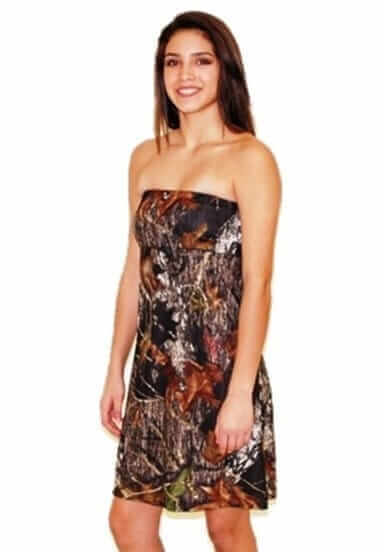 This dress is in Mossy Oak Break Up with a hunter orange accent at the empire waist. There is elastic at the top and under the bust for a secure fit. Made in the USA.